It is safe to say that a Nigerian could potentially be coming home with an MTV European Music Award (EMA) come Sunday, the day of the event. The twist to the story is that the potential awardee is neither the likes of Wizkid, Davido, Tiwa Savage nor any of the big names in the Nigerian entertainment industry. In fact, she’s was relatively unkown until now. 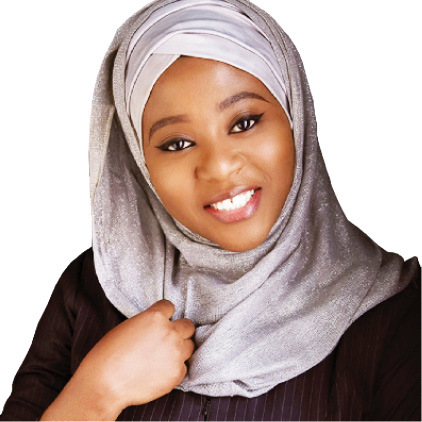 Hauwa Ojeifo is the proud Nigerian who stands a chance to win the prestigious MTV EMA award in the category of Generational change award, a new addition to the awards category. Miss Ojeifo was nominated alongside a 21-year old Afghanistan, Sonita Alizadeh; 17 year old Lebanese, Mohamad Aljounde; 20 year old Briton, Ellen Jones and an 18 year old Xiuhtezcatl “X” Martinez. She was nominated for her work in creating the first 24/7 women’s Mental health crises centre called Safe place. The award will be presented at the red carpet pre award show at Bilbao, Spain.